Christopher graduated in piano & organ from the Queensland Conservatorium of Music in 1983 and has worked in the music and education professions variously as teacher, performer, accompanist, conductor, musical director & concert producer; as well as examiner for primary, secondary and tertiary music institutions, for ANZCA and the AMEB. Christopher works with a wide social spectrum of society, and is able to communicate with varied age groups and musical development. He has played concerts in UK and Europe and performed in all states of Australia, as soloist and accompanying choral groups in orchestral-organ transcriptions of Messiah, Mozart Requiem, Mendelssohn Elijah etc. In addition to varied and extensive pro bono and free-lance activities, Christopher is currently Repetiteur/Accompanist/piano and theory tutor at Haileybury and The Peninsula School, an Organ Tutor for University of Melbourne, and Director of Music at St John’s Church, Toorak. 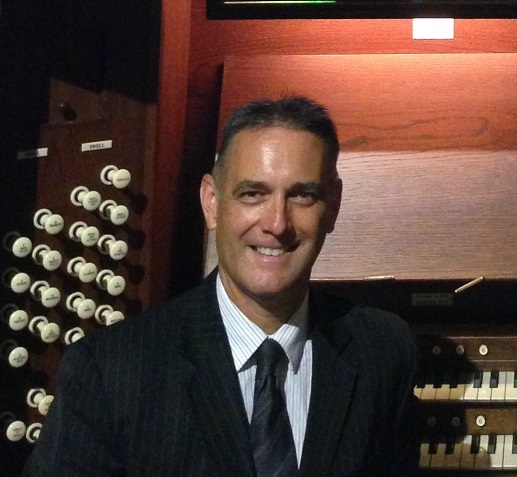 He is a Director of the Organ Historical Trust of Australia [ohta.org.au] and the Australian and New Zealand College of Organists [anzco.org].